Brenda’s focus for the outpatient treatment program is to help individuals and families heal from difficult life situations. People often face overwhelming challenges. She believes that no matter what happens in life, we always have choices. Brenda is a Registered Service Provider for criminal justice clients. She is also a Certified EMDR therapist, and an EMDRIA Approved Consultant-in-Training (CIT). Her areas of expertise include depression, anxiety, trauma, addiction, and domestic violence as well as military veterans (and their families) and first responders (e.g., law enforcement, EMTs, Emergency Department personnel). Regarding consulting services, Brenda works with behavioral health organizations that are pursuing CARF accreditation or re-accreditation. 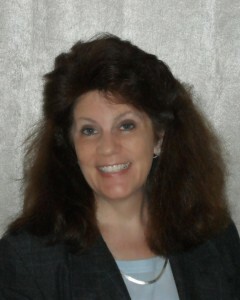 She can help organize documents, write policies and procedures, and conduct a mock survey. Brenda is an experienced CARF surveyor and has conducted surveys in the United States and Canada, to include at VA facilities. In January 2014, Brenda began a 4-year term on the Board of Directors for the EMDR International Association (EMDRIA). She is the Regional Coordinator for the Southeast Nebraska EMDRIA Regional Network and has served on the Board of Directors for the Family Violence Council since 2014. Brenda’s career achievements also include as a Collaborating Investigator for the DSM-5 Field Trials in Routine Clinical Practice (2011-2012), an ASAM Field Reviewer for The ASAM Criteria (2012-2013), and Research Associate for the Institute of Medicine (National Academy of Sciences; 1988-1989). Brenda is a military veteran (U.S. Navy). Her last duty station was in the Pentagon (Surface Warfare Division, OP-32). Her husband is a retired LCDR (Navy), and her daughter is also a Navy veteran. Brenda has a life-long interest in advanced education and self-improvement, both personally and professionally. In addition, she enjoys passing on her knowledge to others. As result, she taught for 18 years at the Lincoln campuses of the College of Saint Mary (CSM) and Southeast Community College (SCC). As an educator and clinician, Brenda has mentored and supervised numerous graduate students and provides consultation to EMDR therapists who are pursuing EMDRIA Certification in EMDR therapy. Contact Information. Brenda can be contacted by unencrypted e-mail at brenda@bhr-llc.com or at (402) 486-1101. THERAPY CLIENTS – Clients can contact Brenda by via secure (i.e., encrypted) e-mail by first clicking on the Client Portal icon below to access your account. You can then schedule appointments, view your account statement, pay your account balance, and/or send an encrypted e-mail to your therapist after logging in.. (New clients will need to create an account by clicking on the icon below.) You can also contact her (402) 486-1101. Privacy and Confidentiality. In order to maintain professional boundaries and to protect your right to privacy and confidentiality, it is our policy not to respond to unencrypted e-mails sent by therapy clients. (Please log in to the Client Portal to send an encrypted e-mail to Brenda.) In addition, we cannot connect with clients or their family members via our personal social media accounts (e.g., Facebook, LinkedIn, Twitter) as per the ethical guidelines of our profession and our organization’s policies. In addition, if you should be in the same social or public setting as your therapist, she will not acknowledge or greet you so as not to identify you as a therapy client.